Because of course it was. Nintendo has this bizarre habit of shoehorning its biggest star, that moustachioed plumber in to all manner of game in which he rightly doesn’t belong. And according to Edge, he was very nearly the star of Nintendo’s new shooter IP, Splatoon. If it were a Mario game, it would have been a bit of a spiritual successor to Super Mario Sunshine, which has to be one of the most divisive main entry games in the chubby plumber’s history. 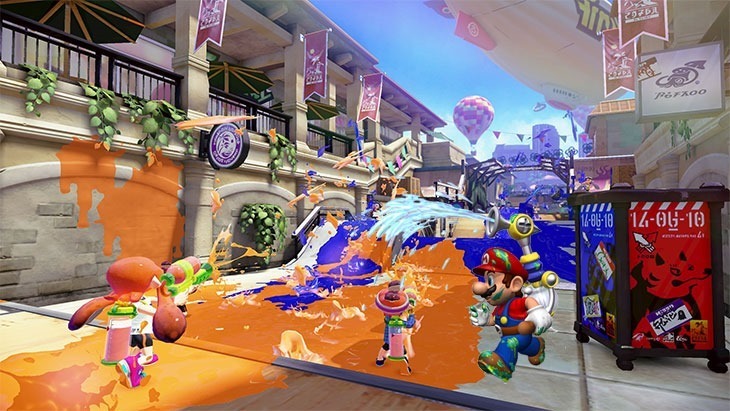 On the one hand, putting Mario in the title guarantees a certain level of sales, but I’m glad that Nintendo’s opted to created Splatoon as wholly new IP. We’ve had the opportunity to play it, and it’s every single bit as fun as it looks. Splatoon features a bunch of squids armed with ink guns, and they’re able to magically traverse the ink that matches their team colour. Check it out.